This one has a cool story behind it! 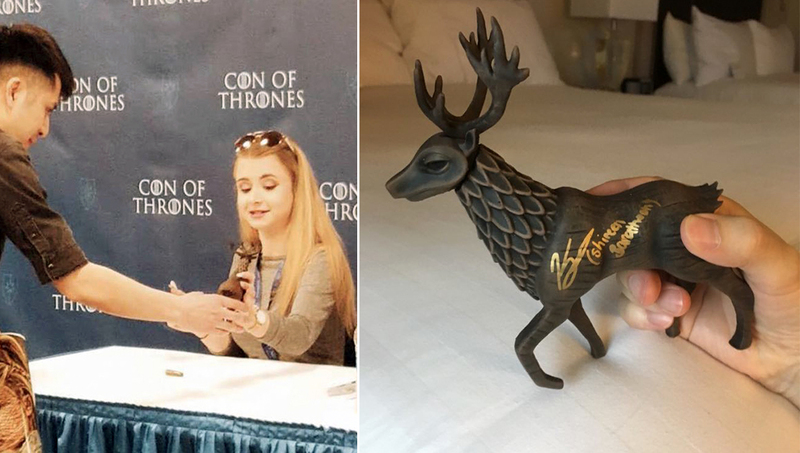 ZBrushCentral member George Crudo sculpted The Wooden Stag from Game of Thrones to 3D print for a friend attending Con of Thrones in order to have it signed by actress Kerry Ingram. The sculpt was completed by me and the engineering was handled by Jake Kemper of Captain’s Forge. The final physical paint job was completed by Susan Attai. The stag was split into 3 pieces: The body, the head and the antlers. The print was completed on a Form2 printer. 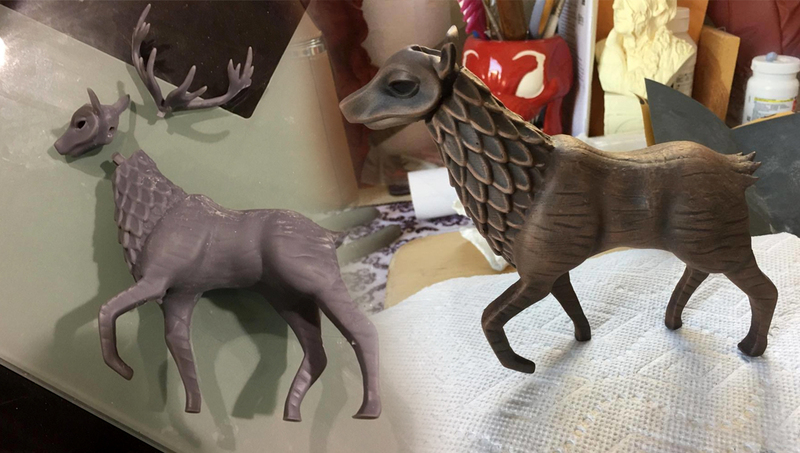 Much attention was given to the neck to make sure that all the little fur patches would print correctly and that it would imitate the style of the wooden stag from the show. Visit the ZBrushCentral thread and comment on the work here!